The 46-year old Italian Enrico Pengo is responsible for team Bahrain-Merida’s mechanics department. 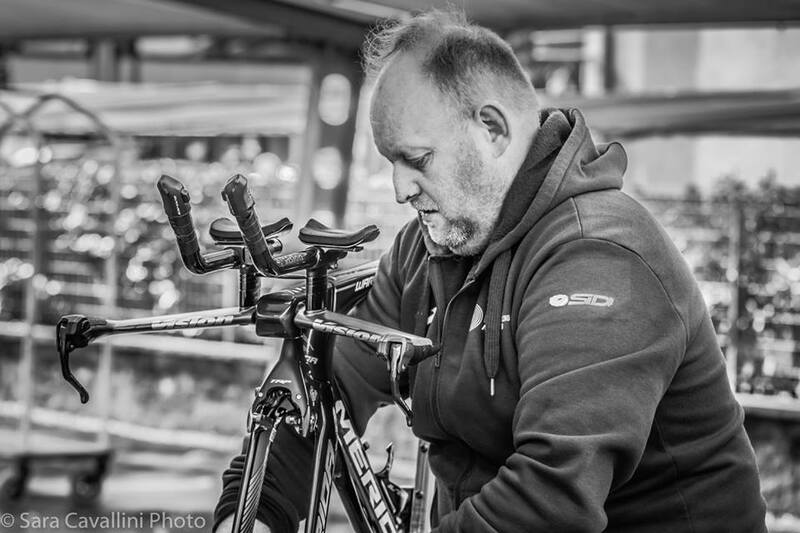 He is one of the most experienced and appreciated Italian team mechanics around. Enrico started his career with pro level teams 26 years ago with the Italian team ZG Mobili and is also now currently the mechanic of Italian national team. Since that season (1993), he had never missed an edition of Giro d’Italia and working with some of the most important champions of the last generation. How passionate are you about your job? From 1 to 10, I think 11! How many days are you away from home during a year? I’m away from home for 250 days a year: 180 days for races and the other 70 between the work in team warehouse and the trips. As international pro team, Team Bahrain-Merida, is often busy in two or three races at the same time, which includes during the holidays. Thus, we have to follow the needs of the riders throughout the year. How many Grand Tours (Giro d’Italia, Tour de France, Vuelta a Espana) did you follow in your career? I have followed 26 editions of Giro d’Italia, 20 of Tour de France and 20 of Vuelta a Espana. Who has been the best champion you have worked with in your career? That’s a hard question. I feel deep attention for Gilberto Simoni, because with him I won my first Giro d’Italia as mechanic in 2001. Two other important champions I have worked with are Alessandro Ballan, who won the World Championship in 2008 when I was the mechanic of Italian national team, and Damiano Cunego. Tell us an anecdote of your career? During the Giro d’Italia 2001, we didn’t have the tools available like we do nowadays. In order to find the best bike setting, I had to buy and modify the parts of the components without the knowledge of my team, and hope that my modifications performed well. Having seen the outcome, I knew I made the right choices. Tell us your typical day at Vuelta a Espana. There are four of us in our mechanic staff at Vuelta a Espana. At 7.00 A.M. we eat breakfast. A half hour later we reach the team truck and we divide our work: one takes the materials out of the truck, one pumps all of the tires, and the others two wash and assemble the bikes. Communicating with the sports director, we decide the position of the spare bikes on the cars. We put our team leader’s bikes in the easier position to keep them readily available. If the stage is flat, we give priority to our sprinter; if the stage is hilly, we give priority to our climber. We arrive to the race 90 minutes before the start. We take the official bikes out of the truck and we do a final check to the drivetrain. During the race we pass five or six hours in the team cars, until the end of the stage. At 7.00 or 8.00 P.M. we arrive at our hotel and we start to disassemble the bikes. Finally, we have our dinner at 11.00 P.M.
Who are the most careful riders at Vuelta Espana in your team? 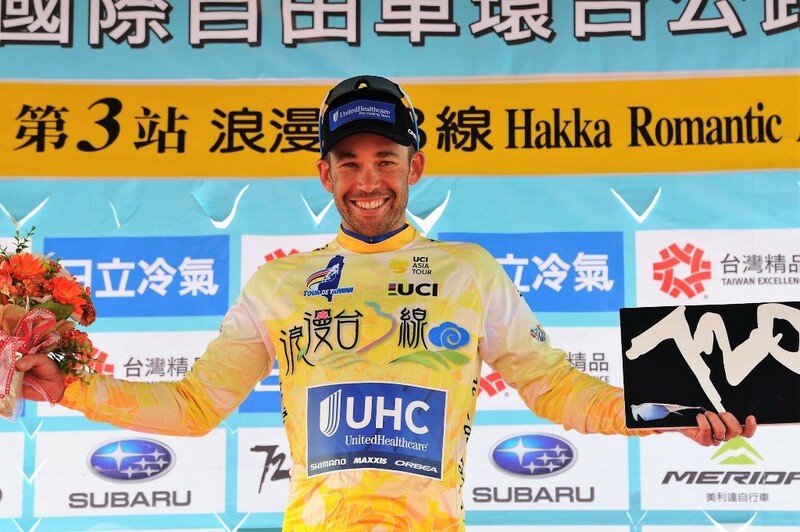 Surely, I have to say our leader Vincenzo Nibali, who is a great champion and a very careful professional!